YouTube, great and famous platform to watch and upload videos. One of great tool on the web for to reach your product or videos to more people. In this article several YouTube shortcuts are listed, If you’re not using it though, now is a great time to start. Increase or Decrease Playback Speed : use “Shift + > Key” or “Shift + < Key”. Full-Screen mode : Press F key. Pause or Start Video : Press K or Space key. Number 0 or Home: Restart the video from beginning. J or L : Forward & backward by 10 seconds..
Captions on or off : press C key. Up and down arrow : To increase or decrease the volume of YouTube video. Shift + p : Load previous video. Shift + n : Load next video. + : Increase caption font size . – : decrease caption font size. O : Change subtitles/CC text opacity . , : one frame forward. Video must be paused.
. :one frame backwards. Video must be paused. Restart Video : Home Button or Press 0 key. Reach End of Video : End Button. Mute or UnMute video : Press M key. 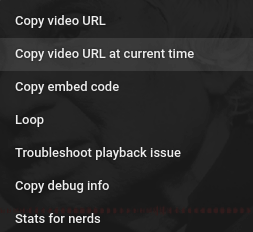 Add “/leanback” end of YouTube i.e https://www.youtube.com/leanback. Now you can completely browse content using your keyboard. Interesting thing about this feature is Instant search & better user experience. 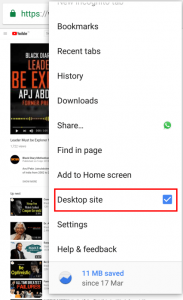 Using Google chrome browser, you can play YouTube videos in background even when mobile screen is turned off. No need to download any other app. User can enjoy the music in background while working on other apps. Open Chrome browser on Android or iOS. Go to youtube.com & play any video of your choice. Click on top right three vertical dots. Select “Dekstop site” from drop-down menu. Go to the home screen or any other app. YouTube will stop video. Pull down the notification bar and tap the play button to resume YouTube audio. This will also work on Mozilla Firefox browser, or any other browser which have “Desktop Site” Options. Download YouTube video & watch later. This helps use to save the bandwidth & user can watch buffer free video as it run directly from our computer. Add ss at front of YouTube URL. Select video quality & download the video. Dark themes give great experience while watching YouTube. It’s helps to enjoy your weekends give big screen like feel. To do so click on the top-right where your profile image appear. 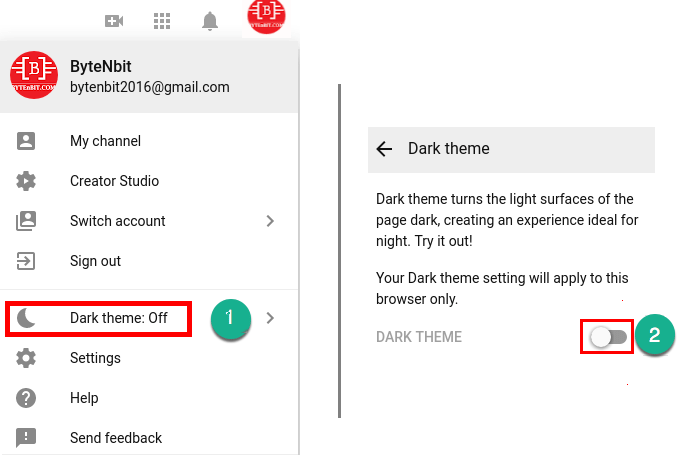 Select the Dark theme option and toggle the button. Append “#t=” at the end of the YouTube URL followed by the time from you want to start the video. User can also specify time in minutes and hours formats like “#t=5m56s” or “#t=1h53m52s”. Modified URL skip continue at your given time. Yes, You can start & end video from specific time. No need to share whole video, many time user only want to share specific scenes. To start and end video, append ?start=<seconds> and ?end=<seconds> to define the starting and ending time. The duration must be always in seconds. Open video. Press on “three dots” tab below video and Select Open Transcript. Transcript appear at the right of video. Pressing Number 0, 1, 2 to 9 will forward & backward video by 0%, 10%, 20%, 30% … 90% respectively by total duration time. One of most useful extension Floating YouTube that keeps making a video floating on top of all windows. This helps to allowing user to work at the same time on other applications. Floating YouTube is a Chrome extension that keeps a floating mini player on top of all windows. AdBlocker extension is helpful tool to watch advertisement free video. Advertisement is truly annoying specially when it advertisement buffer. 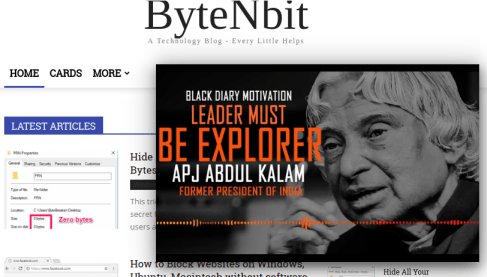 This chrome extension help you to remove advertisement and watch video without any break. AdBlocker extension is free for Chrome & Firefox browser. Right click on video. Select Copy video URL at current time from the drop-down menu. Or user can click on the Share tab & select “Start at: time”. Go to Media from menu and select Open Network Stream. Or Press Ctrl + N.
Paste YouTube URL and click on play. Video start playing in VLC player. You can you use all VLC features & keyboard shortcuts. YouTube give us privilege to use search filters. Many times user want to get all playlist video or to search exact phase, exclude words form YouTube results. Getting irrelevant results only waste time, so better to use these filters next time. “Use quotes” to search the exact phase. Append playlist with search query, gives the playlist. Append channel with search query, gives the video related to that channel. + to Include the relevant words in the search results such as India city +mumbai gives all result which include mumbai. – to remove the irrelevant words from search results such as India city -mumbai gives all result which don’t include mumbai. You can use the multiple filter in one query to get precise result such as India city -mumbai +delhi. This lists the result by excluding words -mumbai and include words delhi in search result. If you’re not using it though, now is a great time to start YouTube shortcuts. Any questions? Just shoot in the comments section & let us know !.